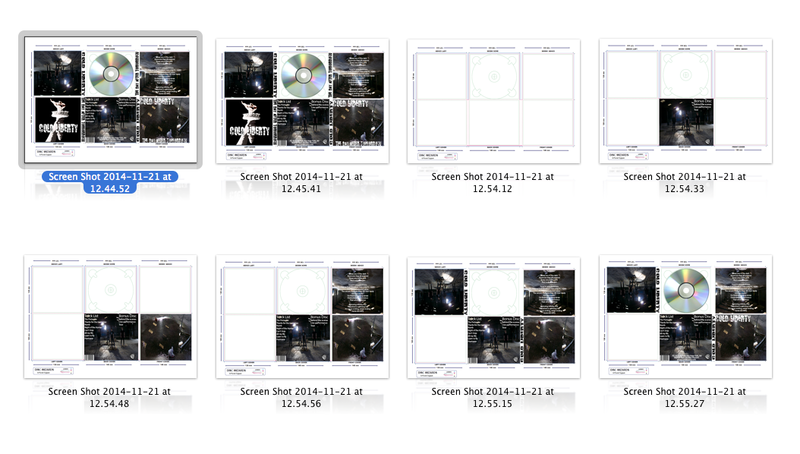 This is the digipak creation stage, here you can see all parts of the digipak form when I started creating it. The images are laid out in a weird order but it starts from the second to right at the top going right. You can see the stages from where I began putting in images from our test shots along with some text which is usually seen in most normal digipaks.